Inter Arma have shared a third song from their upcoming album Sulphur English, following “Citadel” and “Stillness.” The newly-released “The Atavist’s Meridian” clocks in at over 12 minutes, and it really earns its lengthy running time, going from something chaotic and heavy to something atmospheric and psychedelic before building to a crushing doom climax. Listen below. 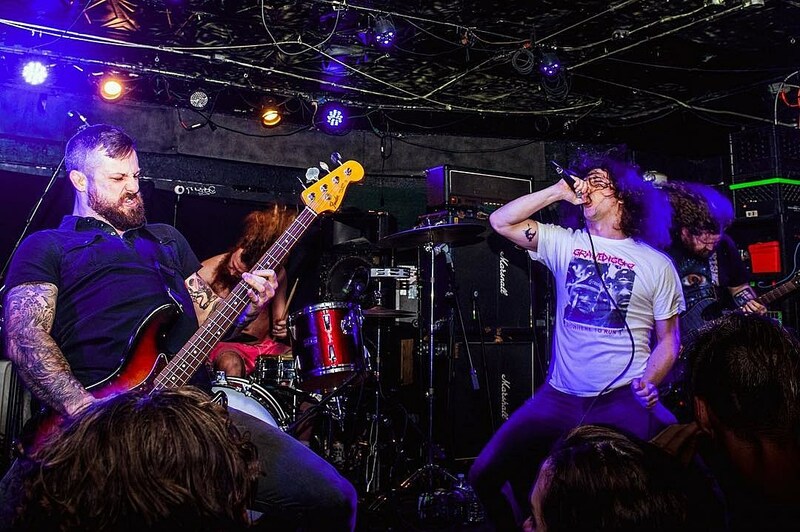 The band have also announced a lengthy tour, including varying support from Thantifaxath, KEN mode, and Wayfarer. It begins in mid-May, about a month after Inter Arma’s previously announced appearances at the Decibel Metal & Beer Fest Pre-Show in Philly and Brooklyn’s Saint Vitus on April 13 (tickets). All dates are listed below.